It has been rough week. Last Friday my Friend got the call that every wife dreads. She has said countless times this week, “You never want to see ‘LA Coroner’ on your caller ID.” Her husband of 200 months was killed in a tragic accident. I think it is meaningful that my post last week was about how we have to adjust to whatever happens in our lives, because the unfortunate truth of that is very real this week for my Friend and her family. Honestly, it seems to be going beyond her family, this inability to process, accept, and move on. Many from our ward (that’s Mormon for the group we attend church with) have been affected by this death in ways we cannot explain. Yes, it has only been a week and the pain and shock are fresh, but life (carpools, school, music, jobs…) cruelly does not stop because we feel this loss in our lives. I remember when I was away at college and my brother called to tell me about my grandpa dying unexpectedly. Later that day in preparation for going home to be with my family I had to drive somewhere. I distinctly remember being surrounded by many cars on the road and thinking, “How can they just go on like this? How can they function in a world where he does not exist?” I imagine that my Friend is experiencing exponentially similar pain and confusion. How do we deal with the pain? How do we come to terms with living while those we love are not? I’ve started by trying to remember that for which I am grateful, an appropriate activity for this month of Thanksgiving. I’m also taking my Friend’s advice: Treasure your husband (she is quite wise and wonderful and an amazing example of strength, testimony and love). Yesterday I went on a date with my husband. Yesterday was a hard day. The day after the funeral. 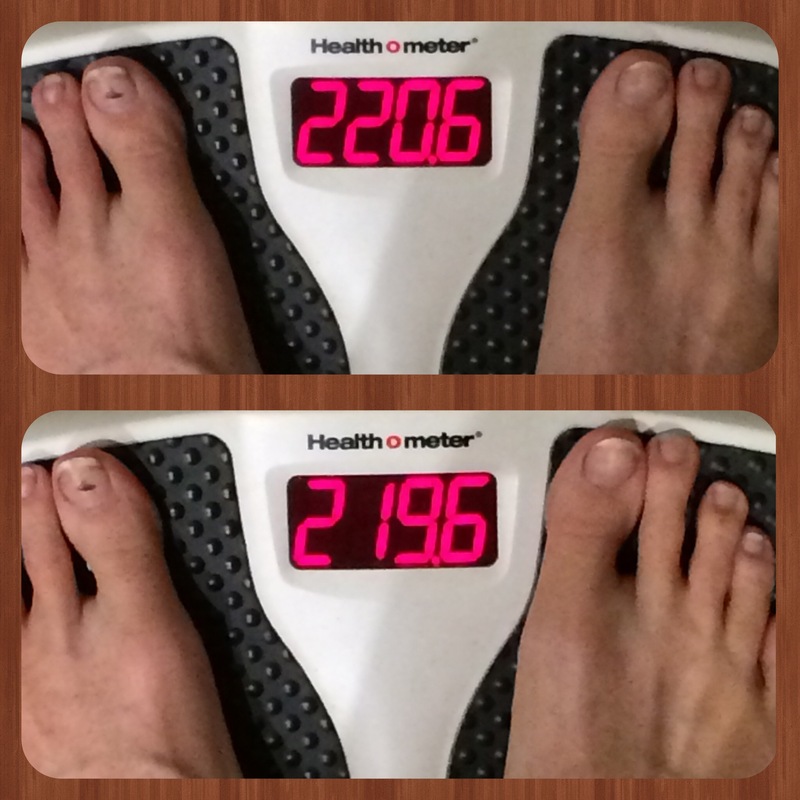 The day I weigh in (and am supposed to blog). The day I found out I gained a pound. Woe is me right? But my reward at the end of the day was time with my husband. After a little shopping and dinner at Five Guys, we ended up at the movies where I did something I was not sure I wanted to do. Something that I had debated back and forth within myself and discussed with my husband many times. I’m pretty sure I even told a few people there was no way I would support this effort. But alas, I was too tired to wait an extra half hour for a different movie, so I bit the bullet and went to see Footloose. Dang it if it wasn’t really good. Really good! The plot was updated. Costumes and names and vehicles (!) stayed true to the original (which was one of my top 3 faves as a teenager). I even thought several of the actors looked similar to those in the original. Overall, I thought it was a good tribute to the Footloose I knew as a kid. Not only did I like it (dang it), but I learned (or maybe was reminded of) some important things. First, everyone grieves. We have all had loss on some scale. We can find common ground and can grow together through our grief (bet you didn’t think the movie was that deep). Second, and probably most applicable to this blog: when your sad, pissed, or just need to blow off steam dancing is an excellent way to do it! Yep, dancing. I remember going dancing a lot in my younger years and it wasn’t always about cute boys. Sometimes it was just about enjoying the music and moving until I was sweaty and exhausted. Maybe you prefer running or kickboxing? But the point is that it is way more healthy to deal with those emotions through exercise rather than feeding your face…or sitting around pouting. Both of which I’m really good at. My Friend must know this (at least in theory) because before her husband’s funeral she signed up to run a marathon next May. See…she’s amazing. My goal for this week is to dance. Dance until I’m sweaty. I doubt that I’ll look as good as either Ren MacCormack dancing around an abandoned warehouse, but dog gone it I’m going to feel better after. Wish me luck (and add some prayers that I won’t have any other deaths to blog about next week)!